If asked to name a counterterrorism unit in Russia, most people would probably think of the FSB’s elite “Alpha” unit. Alpha participated in the 1993 constitutional crisis, the Nord-Ost theatre siege and the Beslan hostage crisis, and are called out on the biggest and most sensitive incidents. However, they don’t deal with the majority of terrorism incidents in Russia. Rather, this responsibility falls to the SOBR (Spetsial’nyy Otryad Bystrogo Reagirovaniya, or Special Squad, Rapid Reaction) teams. These regional teams handle most armed incidents in Russia, from Chechen terrorists holed up in houses to domestic-violence standoffs. The level of equipment and level of training of these units varies greatly depending on the threat of the region. But what’s the history of these units? How often are they called out, and how do they compare to Russia’s other OMON and FSB units? Like many European elite police teams, the basis for the SOBR teams was laid in the 1970s following the attacks on the 1972 Munich Olympic Games. In preparation for the 1980 Summer Olympics in Moscow, the first special police unit was formed under the authority of the Soviet MVD (Ministry of Internal Affairs) on November 9, 1978, under order number 0707 . 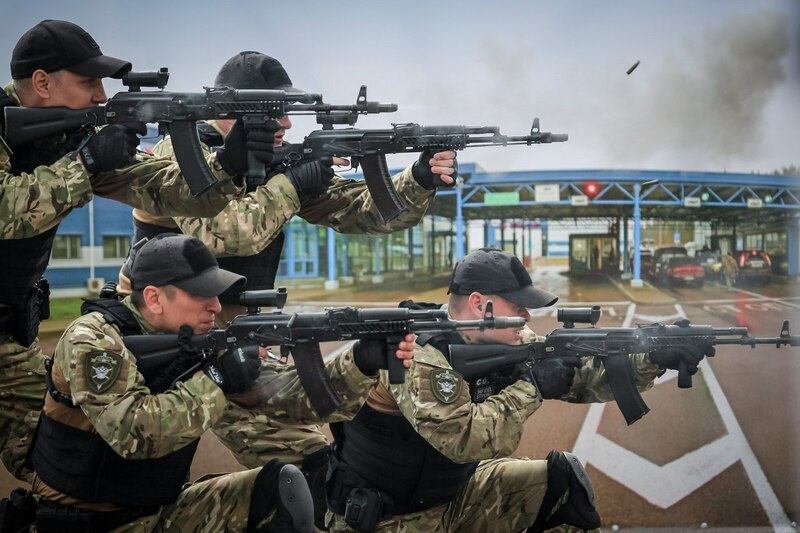 This day is now celebrated as SOBR Day in Russia, as it is considered to be the first formation of an elite police unit to respond to difficult situations. 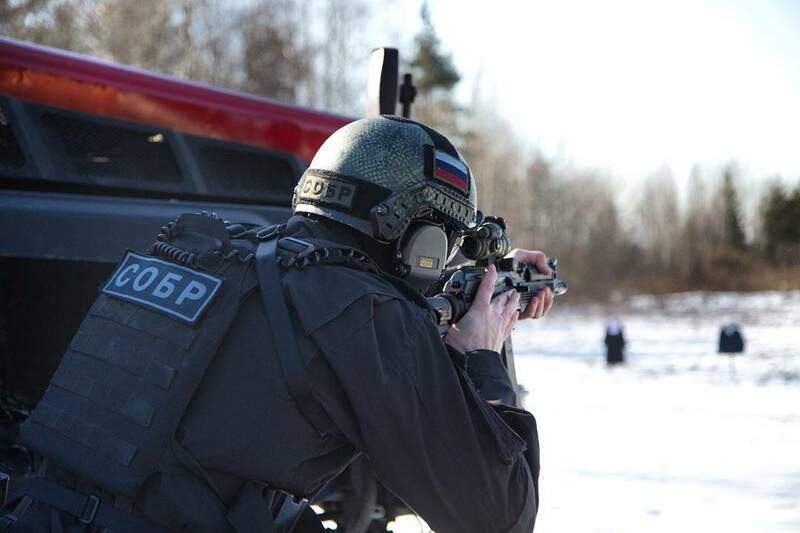 At the time, this unit was called OMON, which simply stands for “special-purpose police force.” It is considered the true predecessor of SOBR teams in Russia. However, the role of this team is considered to be distinct from the units that are now called OMON in the Russian Federation. Recommended:We Went Aboard the Most Powerful Aircraft Carrier Ever Built. Recruits were drawn from the regular police (militsiya) and went through a competitive selection process, with preference given to those who served before in the VDV (paratroopers) and Army Spetsnaz (SpN). While the deployment of the unit during the 1980 Olympics was considered a success, it was reduced in size by 30 percent after the games, due to lack of need for such a specialized unit. It saw its first action  in April 1981 after the games, capturing a man who barricaded himself in an apartment after shooting a young girl and her father with a hunting rifle. In 1987, in reaction to increased ethnic tensions and crime, the OMON unit was created, as a distributed special police unit with various divisions in different Soviet cities and regions to handle serious crime and some violent situations. While this resulted in some confusion, as the smaller, more elite Moscow unit was called OMON as well before it was renamed OMSN in 1988. Role overlap between OMON and SOBR in the armed-response role continues to this day; however, SOBR is considered to be better trained, equipped and specialized for it. OMON is seen more often responding to riots and mass civil unrest rather than armed incidents, although they are capable of responding to such. The creation of many regional SOBR units only happened after the fall of the Soviet Union. In 1992, regional SOBR teams were created to combat organized crime. The societal change brought about by the collapse and the relative ineffectiveness of regular police in the face of strong violent resistance from criminals at the time necessitated the need to form special teams to combat criminal gangs. They were based on the template of the elite Moscow OMSN team, which was then renamed SOBR. They were placed under the control of the MVD’s organized crime division (RUBOP/RUOP). Personnel for these teams was drawn from the big OMON special-purpose militia units. OMON continued to exist independently directly, under MVD command. 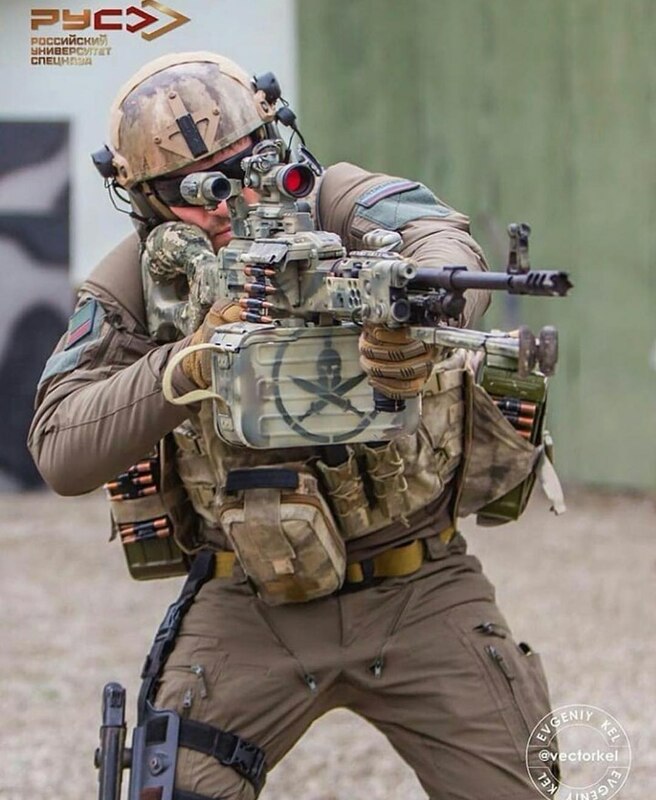 While originally tasked to fight organized crime, the SOBR units soon found themselves on the front line against terrorists from the republics of Chechnya and Dagestan. 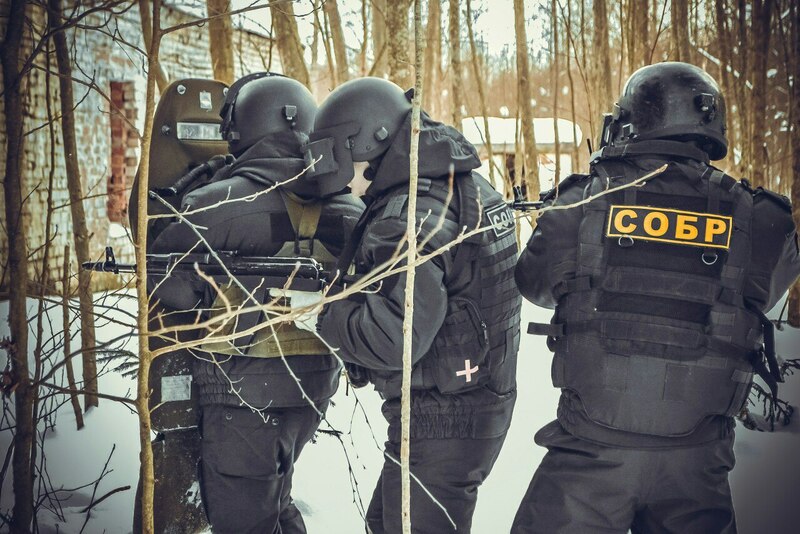 SOBR teams participated in hostage crises in Mineralnye Vody  and Makhachkala. They were also deployed to Chechnya as part of the First Chechen War, starting in December 1994. They were deployed alongside various other units: MVD’s OMON, VV (MVD internal troops) OSN, and VV unit-level SpN, FSB’s elite teams, and the Army’s SpN and VDV. SOBR teams from all across Russia served in the conflict as assault teams, including most major hostage crises and actions, including Budyonnovsk hospital, Kizlyar-Pervomayskoye, the assault on Gudermes, Beslan, Nord-Ost and Grozny. Many SOBR officers were decorated during these operations—some with the award of Hero of the Russian Federation, some posthumously. After being renamed OMSN in 2002, and OSN in 2011, the organization’s name finally reverted to SOBR  in 2012. 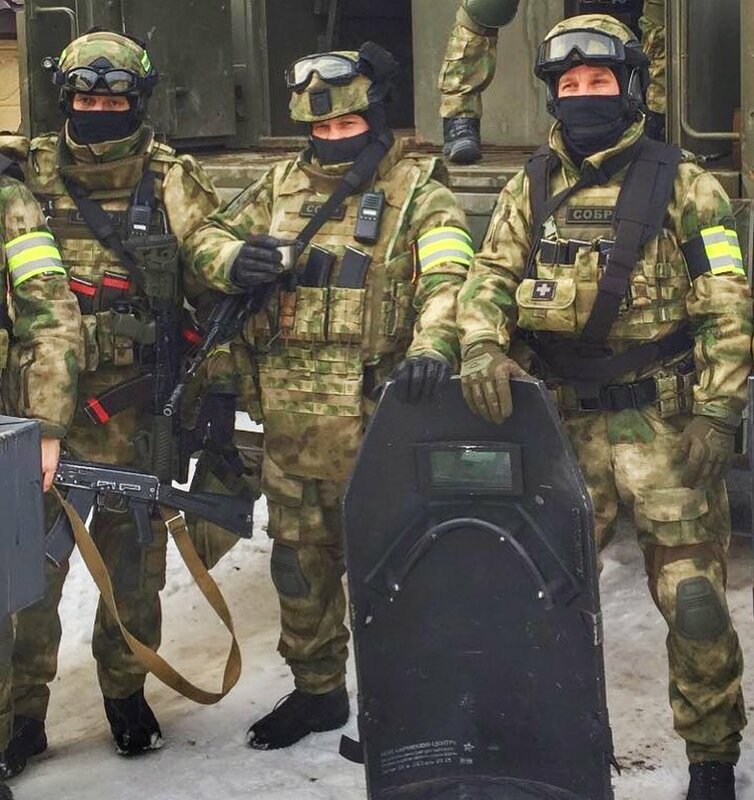 Control of the SOBR units was transferred  to the new Russian Rosguard (known sometimes as the Russian National Guard) from the MVD in 2016, along with OMON and VV units. This effectively deprived the MVD of any real counterterror or paramilitary operational capabilities. As of 2016, SOBR was listed as having a strength of eighty-seven detachments and approximately 5,200 men. The level of equipment of a SOBR team usually depends on the level of funding of the region. 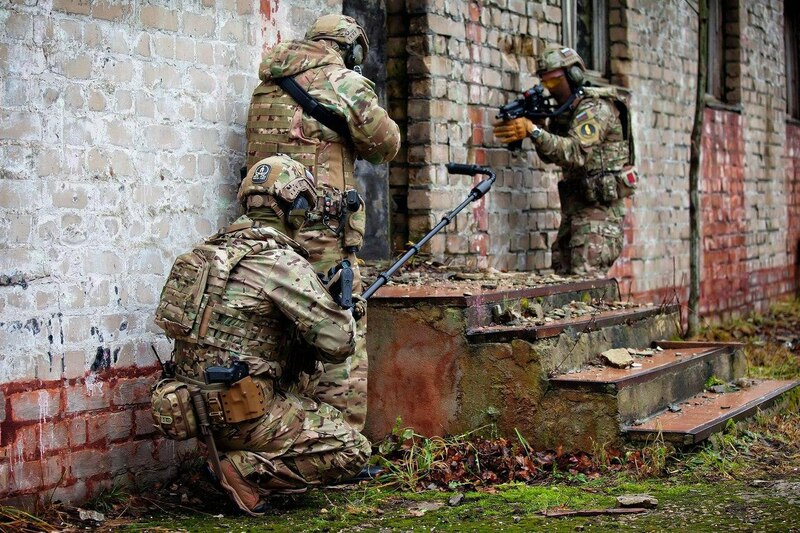 SOBR teams from wealthy cities, like SOBR “Viking”  from Kaliningrad, often look like Western SOF, sporting American weapon accessories and camouflage. Teams from poorer cities, like SOBR “Rubin” from Novgorod Oblast, are seen using stock army-issue AK-74Ms and nineties-era assault helmets. Some of the best-equipped teams are SOBR “Granit”  from St. Petersburg and SOBR “Bulat”  from Moscow Oblast. Tellingly, SOBR “Terek”  in Chechnya is extremely well equipped . 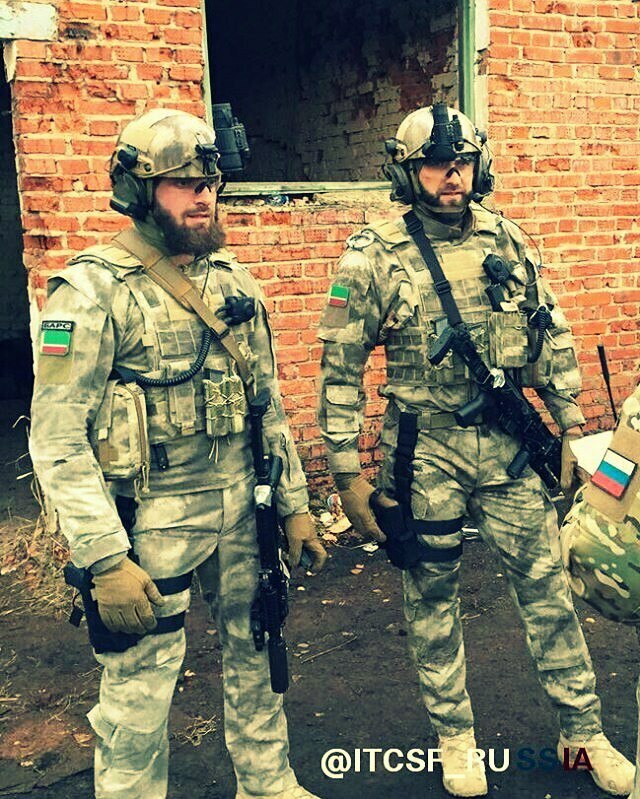 Notably, they have the patches of Chechen Republic on their shoulders  or helmets , unlike other SOBR teams. Another common theme across teams is the wide variety of customization shown on the gear. Odd-colored rifles  and morale patches  have been seen, which are rare sights in the regular Russian army or police units. Training for SOBR units is mostly what you’d expect from an elite police unit. All SOBR members are commissioned officers in the police (now Rosguard) and go through psychological testing prior to joining the unit. Close-quarters marksmanship, hand-to-hand fighting and urban assault techniques such as rappelling are also part of the training. 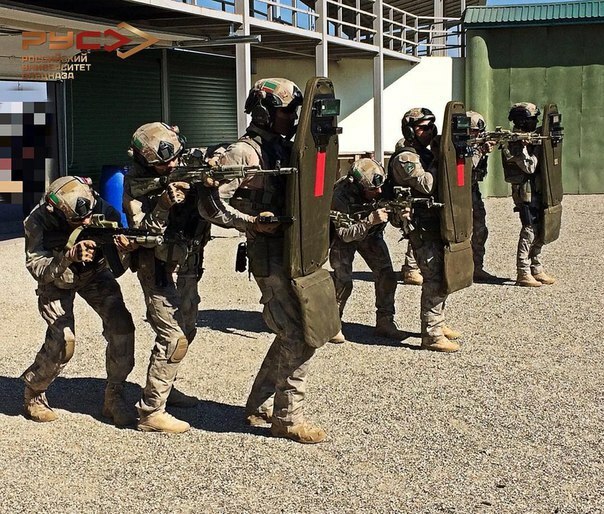 Tactically, there is usually a support element that covers the building with heavy weapons and sniper rifles, to keep the defenders under pressure. Assault groups are usually armed with a ballistic shield and various assault rifles, pistols and submachine guns. Compared to OMON, which is largely responsible for public security and control, SOBR focuses on small tactical actions, such as hostage rescue, resolving armed situations and witness protection (added to its tasking in 1995). Notably, they have teams of negotiators  to attempt to peacefully resolve situations. This is largely the same tasking as the elite Alpha team from the FSB: SOBR provides regional-level response to these events. That being said, there are also elite federal SOBR teams, such as “Rys,” that operate across the Russian Federation. The relatively small size of SOBR (5,200 versus forty thousand for OMON) reflects their more focused role. 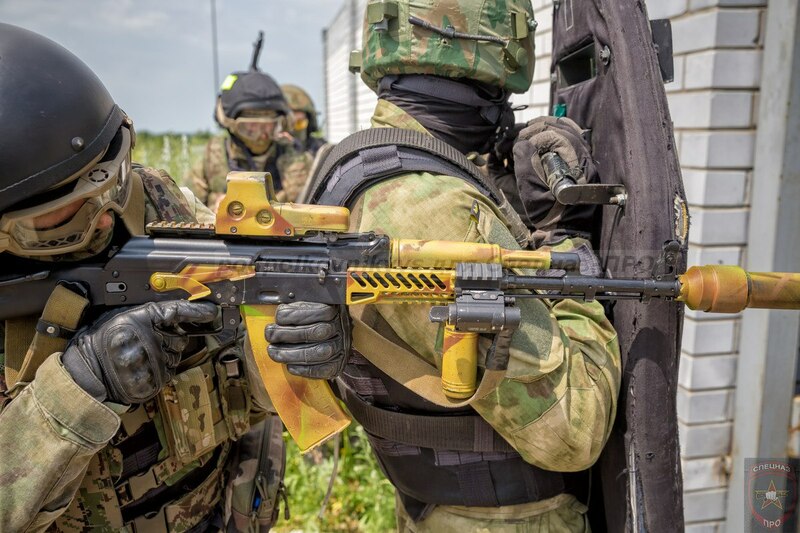 Compared to a unit like OSN Vityaz, which are independent spetsnaz formations in the internal troops, SOBR is more focused on public security and small urban operations. 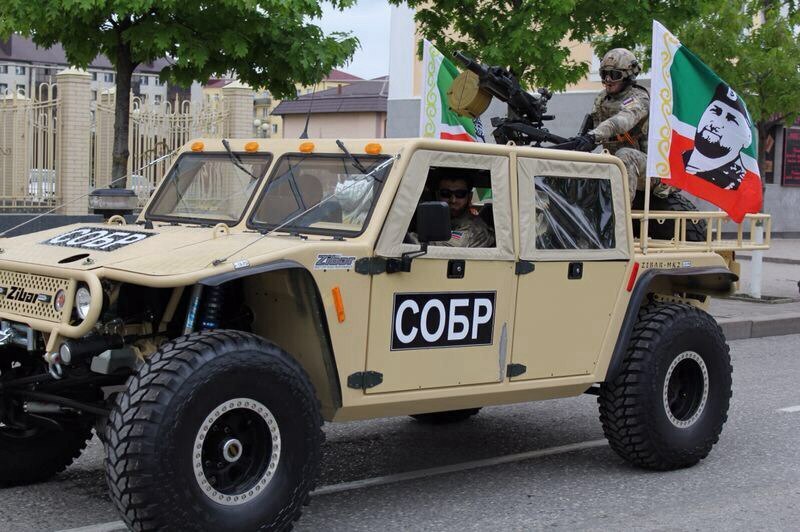 OSN Vityaz is more focused on paramilitary assault operations, such as liquidation of terrorist cells in rural situations and forest raids with less regard to collateral damage. OSNs are even smaller than SOBR due to their niche nature. However, large scale counterterror operations usually involve SOBR, OSN, OMON and FSB units due to the large personnel demands, so there is significant overlap in tasks. SOBR has also been seeing tackling illegal banks  and money-laundering operations in recent years. They also continue to serve in an anti-organized-crime capacity, although the need for this capability has decreased since the 1990s. Charlie Gao studied political and computer science at Grinnell College and is a frequent commentator on defense and national-security issues. He would like to thank Michał Kizeweter for significant assistance with research.